The tiny speck of the first colonization starship moved sluggishly through the cold depths of space. There was much mankind didn’t know about the stars, and one of those mysterious effects slashed into the starship Warden 300 years ago. Now the ship drifted through the darkness, lost and in trouble. While many intelligences move about its decks, none of them work to help the starship find its way. Generations later, you are a native on the starship Warden. As a true human, mutant, or robot, you fight to survive, unaware that the radiation-saturated world around you is in fact a starship, one of mankind’s greatest achievements. Can you uncover the secrets of the starship Warden and steer it back on course, or will you simply try to live another day? 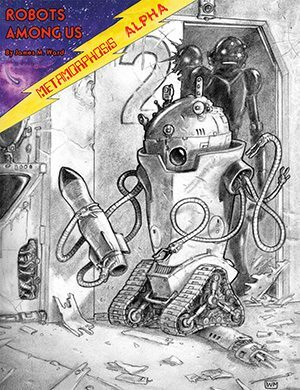 The very first sci-fi RPG returns in a deluxe oversized hardcover featuring the original 1976 rules plus loads of extras and new material! 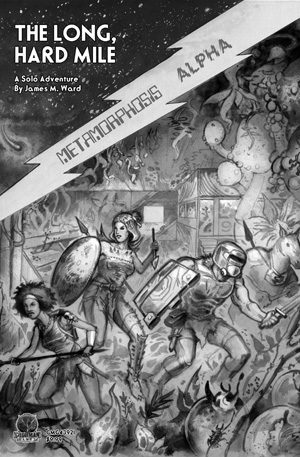 This is a 136-page compilation of the original 1976 edition of Metamorphosis Alpha, plus the supporting articles from Dragon magazine, introductions by Tim Kask and Jon Peterson, all-new monsters and NPCs by James M. Ward, and new adventure modules by James M. Ward, Michael Curtis, and Jobe Bittman. 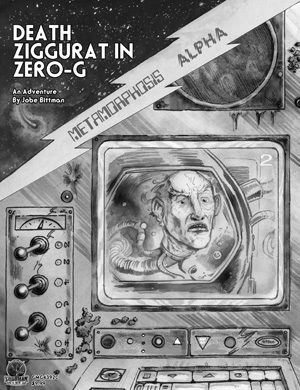 It features the very first publication ever of Mr. Ward’s original playtest notes for the 1976 edition of the world’s most first science fiction RPG! Oversized hardcover printed at 10.5″ x 14″. Easier-to-read enlarged original MA reprinting. Jim Ward’s original playtest notes. 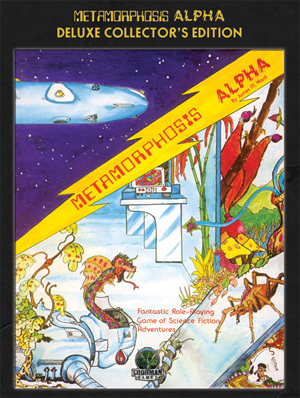 Drink, Spin, Run: This entertaining podcast talks about our new Metamorphosis Alpha release! This project originally launched as Kickstarter. 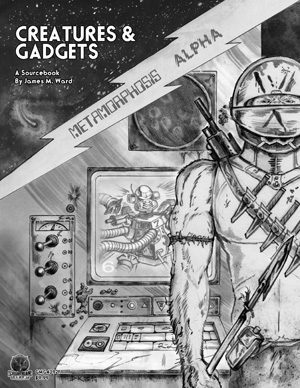 You can read a full description of the project on the Kickstarter page.